My name is Taylor Castillo and I am the Public Relations Coordinator for the Ellensburg Downtown Association. You can now find me at the main entrance of the EDA office where I will be taking your calls, greeting you as you arrive and so much more! I am originally from Puyallup but moved to Ellensburg in 2014 to begin my sophomore year at Central Washington University. I recently graduated in June 2017 earning a degree in Public Relations and a minor in Advertising. I was an intern at the Starlight Lounge & Dining Room from summer 2016- spring 2017, Vice President of Chapter Development in the Public Relations Student Society of America (PRSSA), and head of research on the 2016-2017 CWU Bateman Team. All of these opportunities were made possible by Central Washington University and the many professors I was able to work alongside. Thanks to them, I received my degree and was ready to jump into my career. If you enjoy a nice cold glass of beer, then you may have seen me behind the bar at Iron Horse Brewery. I was hired in June of last year and have, of recently, been doing much more than just serving at the pub. I began working full-time in August to help my manager run the pub smoothly and effectively. I did this through taking on tasks such as keg requests, beer tastings, swag purchasing, conducting new ways to communicate with kitchen staff and servers, and helping wherever and whenever I was needed. 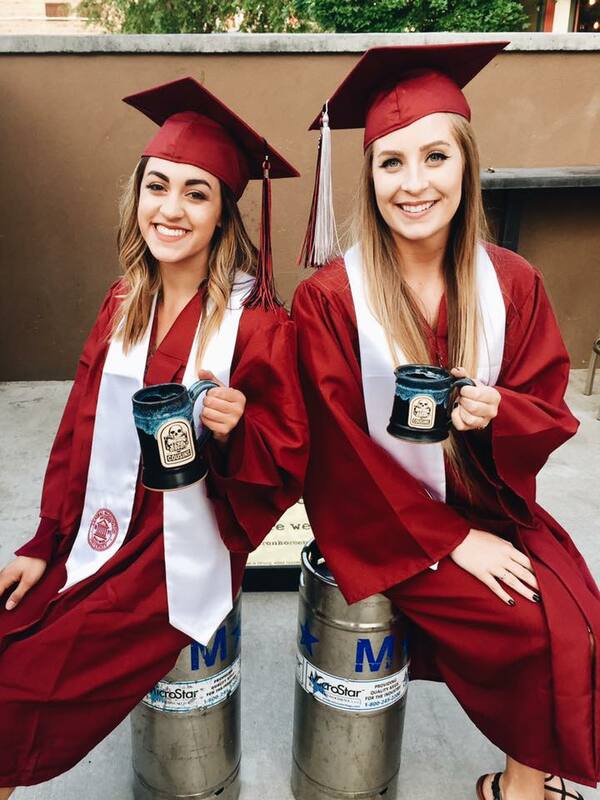 Although I loved being an Iron Horse Brewery Cousin, it was time for me to utilize my degree and what I learned while in school. Being a Public Relations Coordinator here at the EDA is going to allow me to do just that. I will be managing the rentals for the Elk’s Building Grand Ballroom, managing social media, writing content for our blog as well as for the Daily Record, designing promotional material, assisting the Board of Directors, meeting with our four committees and much more. There are many reasons why I stayed in Ellensburg after graduating, but the most important reason was how much I truly fell in love with this town. Working at Iron Horse was a great way to fully immerse myself in the downtown area and get away from the campus a little more. I got to know the locals, out of towners, and many others who play a large role within the community, and I know what their favorite beer is, too. With that being said, I am very excited to serve this amazing little-big town of Ellensburg by working for the Ellensburg Downtown Association. Now that you know a little bit more about me, please stop in and say hello! Downtown Ellensburg will be seeing a whole lot of me soon enough.